Globalsat Group has purchased a majority stake in the Peruvian company, ST2. 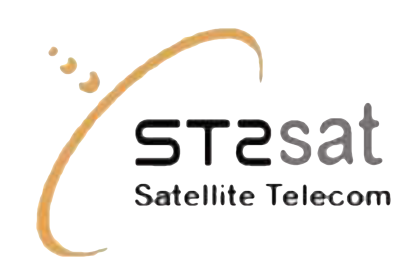 The existing ST2 team will mostly remain intact and continue to hold a significant role in the company following the deal’s completion, and Globalsat Group's Country Manager for Peru Jack Yañez will assume the local leadership role at ST2, while also leading Globalsat Perú. The company will continue to use ST2 as its brand name and will add the complete Globalsat Group satellite services lineup to its portfolio of solutions for the Peruvian B2B market, while Globalsat Perú will be the brand for the group’s B2C local presence. As part of the Globalsat Group mesh network structure, ST2 will add value to the group by incrementing expertise and product development in turnkey solutions for corporate, maritime and rural telephony, internet and M2M / IoT networks and VSAT, as well as increasing and streamlining market access in Peru and neighboring countries for partners such as Inmarsat, Iridium, Cobham, Hughes, Orbcomm and others. Current and future customers in Peru will benefit from Globalsat Group’s roster of experts, services, brands and turnkey solutions, and will be able to access the advantages of being served by a multi-country wholesale vendor and Inmarsat Tier 1 Distribution Partner, Iridium Value Added Reseller, Iridium PTT Service Provider and Iridium Certus Launch Partner as well as a Cobham Certified Partner, among others strategic partnerships. “By joining Globalsat Group, ST2 will now be able to offer its customers a wider portfolio of products and services and better serve them across the country. The ST2 experienced team will continue to deliver best-in-class services to ST2 customers while enhancing Globalsat’s expertise,” said Jack Yañez, Globalsat Peru Country Manager. Globalsat Group CEO J. Alberto Palacios said that this deal brings into place an important piece of the Globalsat Group presence map; their friends at ST2 were exactly the shape to fit right into the group, and this deal will allow their shared vision to provide Peru with the excellence which has made they ur brand a synonym of state of the art satellite service in neighboring Brazil, Chile and Colombia. The ST2 team has an unsurpassed understanding of the local B2B market and together with their international team will continue to raise the bar of.